There is more than one artist with this name. 1. A Manchester, UKband formed in 2005.meadow music 2. A Swiss indie-rock group formed in 2008 3. A Finnish hard rock band from 90's. 4. An American band from 1972, featuring Laura Branigan on vocals 1.Meadow describe their music as "A place to hold your naked heart up to the light and see if the watermark reads pure". Their sound is folky, alternative acustic rock. 3. A Finnish hard rock band from 90's. 2. 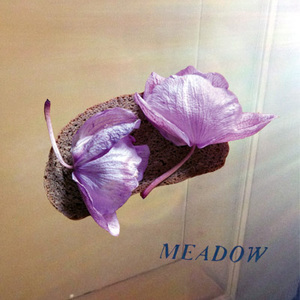 Meadow is a indie-rock group with a jazzy edge, originally forming in Lugano, Switzerland in 2008. With their original line-up of drums (Pino di Benedetto ), bass ( Stefano Romerio ), guitars ( Fabio Besomi, Giordano Rush ) and voice (Giordano Rush), they gradually developed into their current form of articulated, indie-rock inspired work, with a jazzy edge, breaking from the narrow confines of given music genres, and incorporating a wide array of influences into a unique sound. "A natural indie verve, an intensely fragile voice and the urge to explore the art of writing pop music"
3. Meadow were a hard rocking band from nineties based on Turku, Finland. Members of the band were Tomi Korkiakangas (guitars/vocals), Taina Nurmi (Bass) and Harri Hakala (Drums). The group recorded 1 studio demo and 3 four-track demos and did few gigs. The Group later became known as Enerchy. 4. Meadow were a short-lived American band which featured Laura Branigan on vocals. They only released one album, titled The Friendship, in 1972.